Guinot has always taken a scientific approach to skincare. The brand was first born in 1963 when founder Rene Guinot was looking for a way to help rejuvenate his wife’s beauty-therapy business. “He wanted to develop products and techniques that would help with the penetration of active ingredients,” says Ellie Tidy, franchise development manager at Guinot-Mary Cohr UK, the UK subsidiary of Guinot-Mary Cohr Paris. 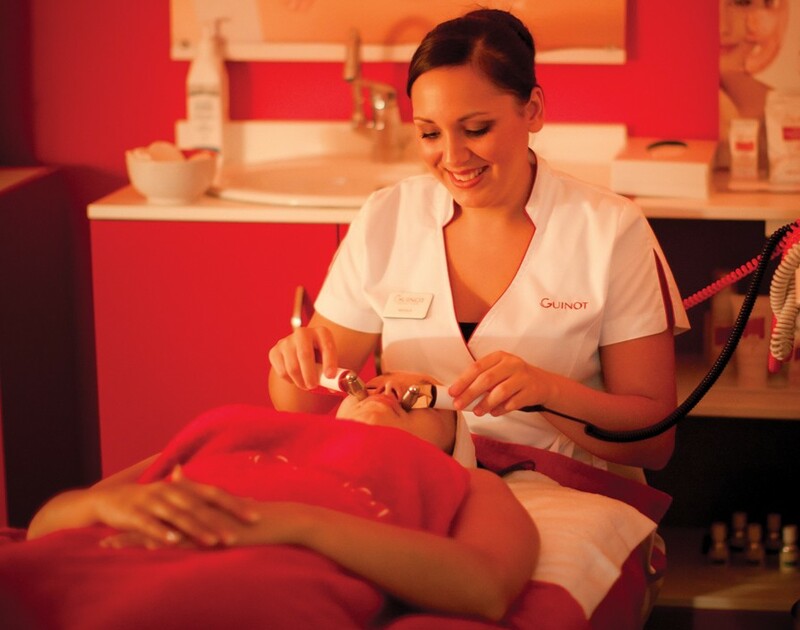 Guinot hit on the technique of cathiodermie – using low-voltage, high-frequency electricity to gently ionise the skin – and realised the potential this had to make the skin more receptive to certain beauty treatments. This has led to scientific innovation becoming the watchword of the Guinot brand. “We’re very much focused on using research and development to remain at the forefront of the industry,” she says. And it wasn’t only salon owners in France that began to pick up on the buzz around the beauty brand: before long it was making inroads into other countries. “Guinot Paris signed distributors in Cyprus, Malta, America and Holland,” says Tidy. Whilst the brand now has a presence in 70 different nations, it still maintains a personal relationship with many of its original partners. “We have our international distributors conference annually and still see many of the same faces,” says Tidy. One nation in particular that embraced the Guinot brand was Great Britain, after R. Robson Ltd brought the brand to Blighty in the 1960s. “We also worked very closely with Steiner Group, which supplies beauty salons on cruise ships,” Tidy says. “Again this led to very quick growth because it got Guinot onto ships like the QE2.” The company also made sure it was getting in on the ground floor and targeting the next generation of beauty therapists by providing talks on the brand and its products at colleges around the UK. “As word of mouth spread, more people started hearing about this mechanical treatment and more salons started providing it,” she says. Converting one’s business into an effective franchise model can sometimes be a tough transition but Guinot’s lengthy heritage in the sector means it has an ace up its sleeve. “Our salon operation came long before the franchise operation so we have 50 years’ experience within the UK,” says Tidy. “We know what works within the market and where the demand is.” The close ties it has to others working in the sector means the beauty brand is able to keep tabs on industry trailblazers. And, once it has hit upon new treatments, its pilot franchise means that it is able to quickly test and trot innovations out to its franchisees. “If we come across a new mechanism, we generally run it through our reference franchise first, see how it goes and then roll it out to our network,” she says. Additionally, spending half a century as one of Britain’s premier beauty brands means Guinot has developed a keen eye for what it takes to run a successful salon. In Tidy’s eyes, any franchisee buying into the franchise will need passion, enthusiasm and a genuine desire to deliver customer service. “People that have perhaps been in the care or hospitality sectors are very well suited to the beauty industry because it’s down a similar thread,” she says. However, she is keen to stress this doesn’t necessarily mean they need to have had hands-on experience as a beauty therapist; far more significant is having genuine insight into how to run a company. “It’s important to have business acumen and that entrepreneurial flair,” explains Tidy. But that’s not to say franchisees are expected to know everything about running the business right out of the gate. As well as providing comprehensive training on marketing, customer service, computer systems and the legal requirements of running a salon, Guinot offers much more hands-on tuition. “They spend two days on site within our reference salon; they will be working in the day-to-day salon environment, learning and feeling how the franchise works first-hand,” says Tidy. And it’s not just franchisees that can brush up on their skills; Guinot also has a training facility dedicated to helping salon employees get up to speed. “Annually we provide post-graduate training to around 4,000 beauty therapists,” explains Tidy.